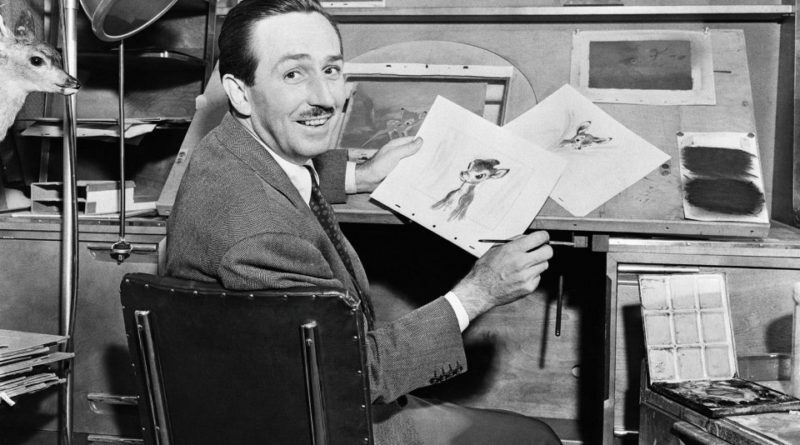 Last week I shared an announcement for a new book – The Walt Disney Film Archives. The Animated Movies 1921 – 1968. I had the opportunity to preview the first 50 pages of the book and from what I read and saw it will make a solid addition to any animation fans library and is an interesting read for a disneygeek like myself.. The narrative takes a deep dive into the stories behind the animated films and examines them from an artistic as well as academic viewpoint. 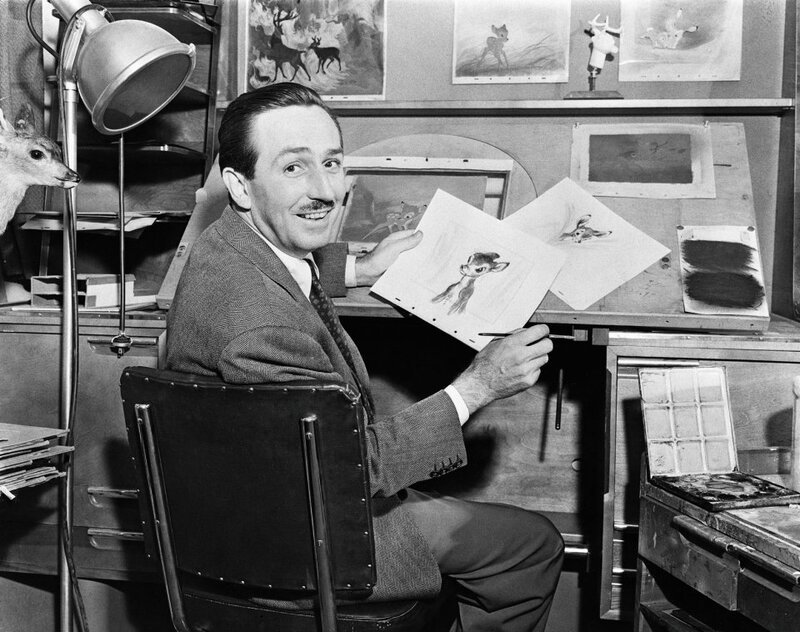 The text includes quotes from the animators, others involved in the films as well as story session notes with Walt Disney. To compliment this text are a mixture of artwork in various formats from concept through final product, photographs from the Disney archives and other media related to the films. These range from small thumbnails up to full two page spreads with a large number of full page images. 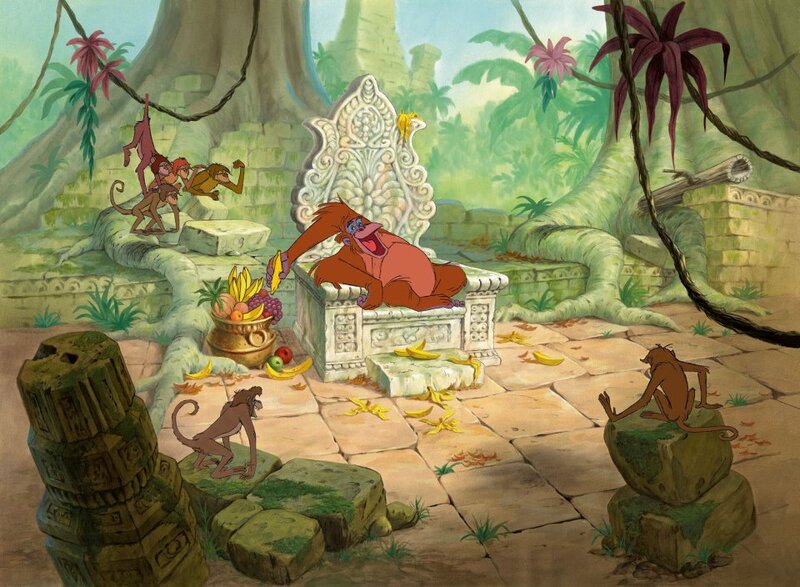 All major titles (and some others) that Walt worked on are covered starting with the Laugh-O-grams and ending with the Jungle Book. The preview I was able to read through included the Laugh-O-Grams, From Alice to Mickey, Hyperion Studios 1926-1940, Silly Symphonies, Snow White and the Seven Dwarfs and Pinocchio. I found the Story Notes to be the most interesting. These were partial transcripts from sessions between Walt, the animators and other members of the team. It shows the flow of conversation and how a sequence took shape. How Walt would communicate his thoughts with the team and how they feed off each other. The sections I previewed had a good mix of narrative and images. They worked well with each other and I did not find one to suffer because of the other, which you often find in books. Each had time to “shine”. Below are seven images that have been released to show a sampling of what you will find in the book. 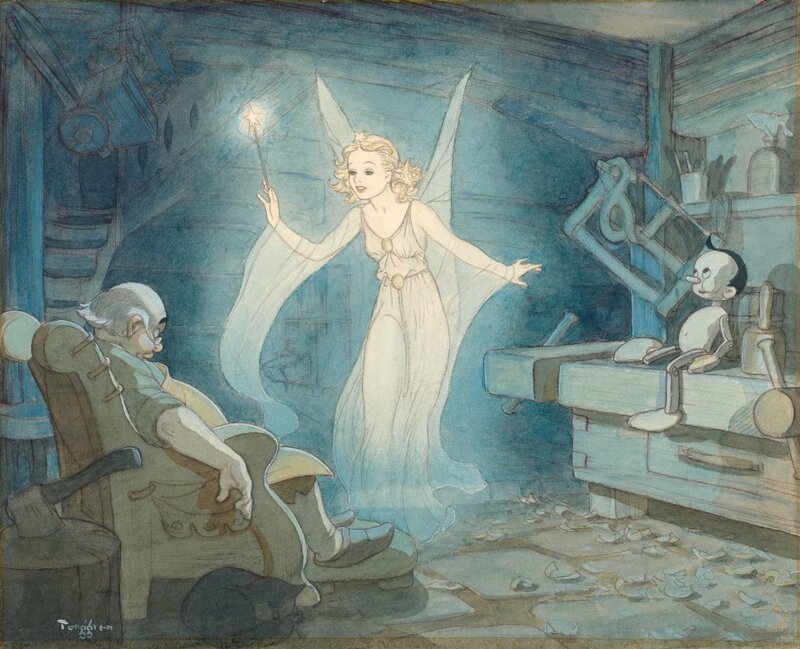 Just as the Blue Fairy works her magic on Pinocchio (1940) in this watercolor by famed Swedish illustrator Gustaf Tenggren, Walt’s masterpiece made a classical art form come to life. 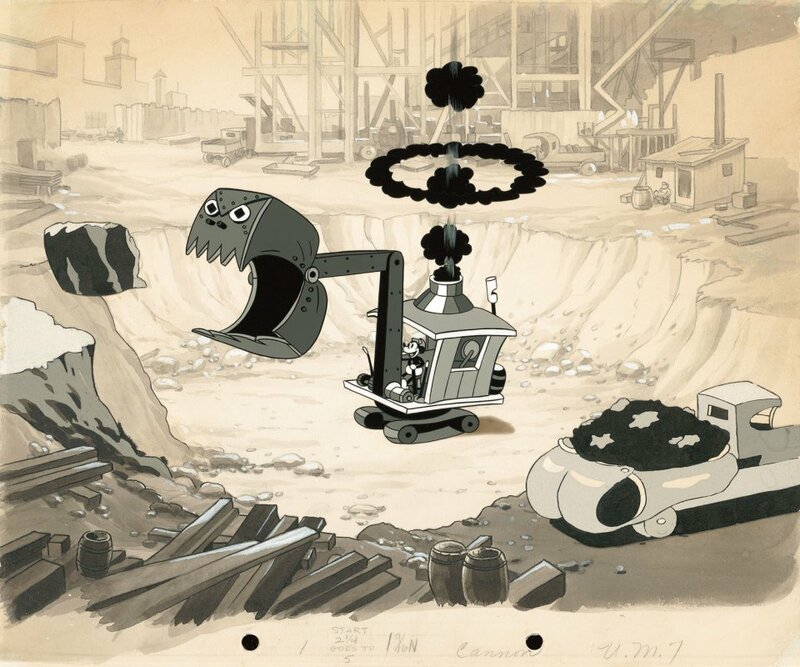 Mickey and his steam shovel hard at work in this cel setup from Building a Building (1933). “Want to know a secret? Promise not to tell? We are standing by a wishing well . 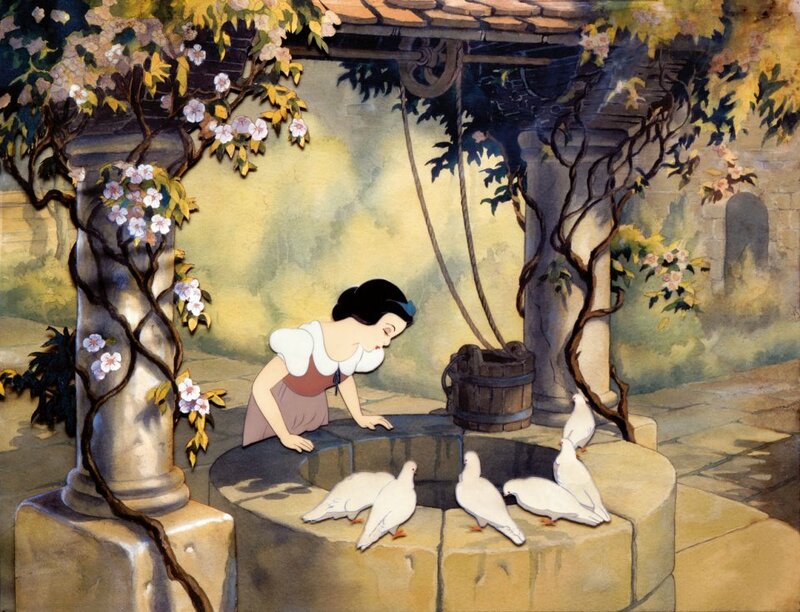 . . “ Snow White and the Seven Dwarfs (1937). 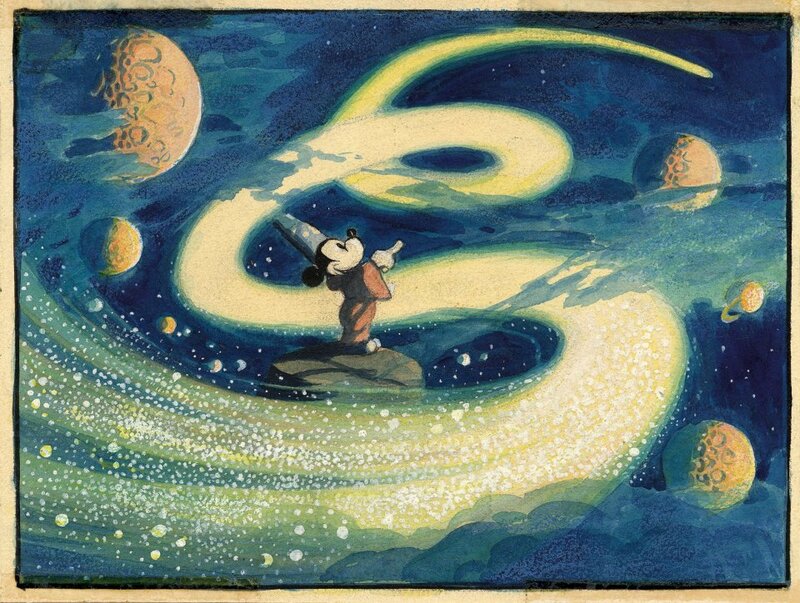 A story sketch for “The Sorcerer’s Apprentice.” The short became so expensive that it was decided to make it a part of a “Concert Feature,” Fantasia (1940). 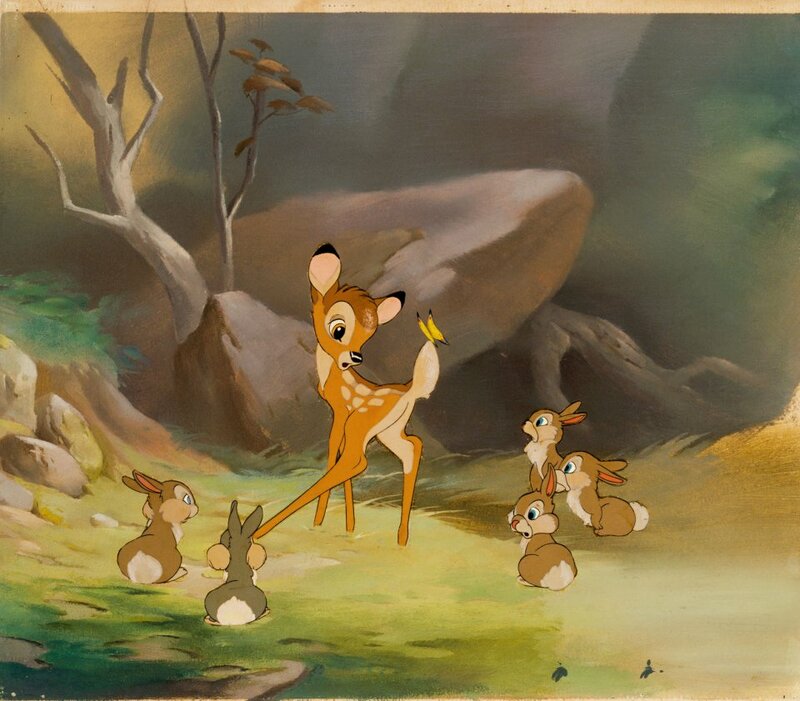 Bambi, originally intended as Walt Disney’s second feature-length film, was finally completed and released in 1942 as his sixth. I found this book really interesting to read and the artwork and photography great to look at. The question really comes down to is how does your interest in animation art and history of Disney works match to the price point of the book. 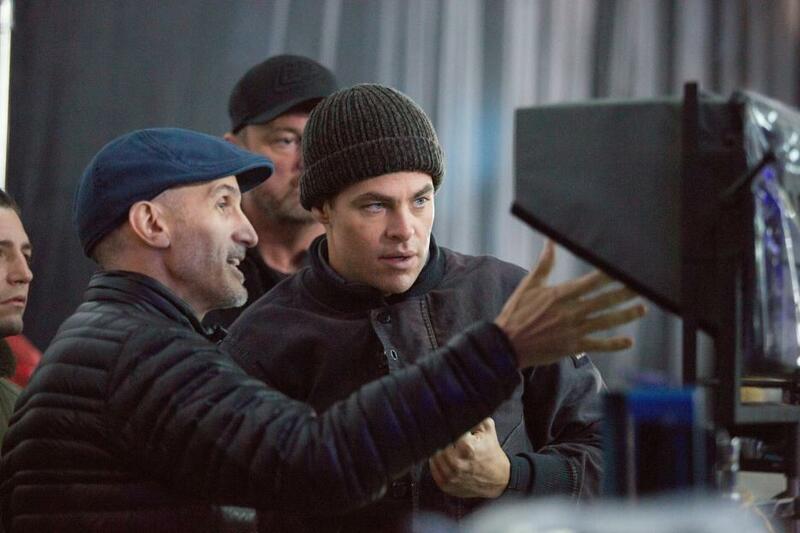 From the 1/12 of the book I read the team delivered a well researched and in depth examination of the films and process of creating them augmented with impressive visuals.